KATY BIRD GREW UP IN Fort Dodge, Iowa and attended Iowa State University. She spent a year abroad before returning to the states and starting SE14 and eventually Sandlot Goods. She currently lives and works in Kansas City and loves to travel, especially to Denver where her sister lives. DESCRIBE YOUR PATH AND HOW YOU BECAME INTERESTED IN PRODUCT DESIGN AND THE ART OF SEWING. I always wanted to learn to sew, so my advisor at Iowa State University suggested I major in fashion design. After I graduated, I took a year off and lived in London, traveling and trying to figure out what I wanted to do with my life. I went back home for about a year to save up and make my move to Kansas City. From there, I started a women’s handbag company called SE14, which was my postal code in London. Unfortunately that company failed, but it gave me much need practical experience in the business/manufacturing world. From there, my business partners and I started Sandlot Goods. That, with the experience from my previous company, has been a roaring success. YOU’VE WORKED AROUND THE WORLD AND ENDED UP IN KANSAS CITY. WHAT WAS IT ABOUT KANSAS CITY THAT FELT RIGHT? 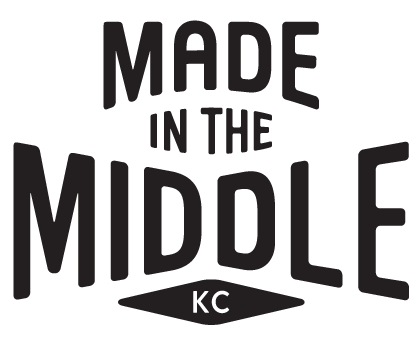 I FEEL THAT KANSAS CITY, with the growing population and the collaborative efforts between designers, is quickly becoming a creative hub in the Midwest that I want to be part of. Out of all the other cities I have visited, Kansas City feels like home. YOU’VE FOUND INSPIRATION IN THE PAST BY ASKING STRANGERS TO EMPTY THEIR POCKETS. DESCRIBE HOW THAT HAS INFLUENCED YOUR PRODUCTS? THAT’S FUNNY. Your question makes it sound like I’m sitting on the streets, asking random people for money. I assume you mean when I ask people to empty their pockets to look at their wallet or purse. When I do this, I look at the products that they have and try to find flaws in the functionality, organization, or quality. I then design products that address these flaws, hoping that someday they will come across my product and purchase it. Not only do I want to make something that looks nice, but I want to design something that is practical. IF YOU COULD MEET ONE PERSON DEAD OR ALIVE THAT HAS INSPIRED YOU, WHO WOULD IT BE? TINA FEY. She has paved the way for so many who strive to have it all. HOW DOES LIVING IN KANSAS CITY IMPACT YOUR PROCESS AND THE WORK YOU DO? WHEN I FIRST MOVED TO KANSAS CITY and didn’t know anyone, I used to walk around the city and explore. The architecture, people, and layout inspired me. I can’t imagine the diversity and uniqueness of Kansas City not inspiring everyone in some way or another. WHERE DID THE NAME SANDLOT GOODS COME FROM? HAS LEATHER ALWAYS BEEN A MATERIAL OF INTEREST? A FEW YEARS AGO, my business partner’s brother passed away. He told us stories of how they would spend endless summers playing baseball together. His stories made us all think back to the simplistic beauty of childhood relationships, and how strong and valuable they are. In a way, Sandlot Goods is synonymous with childhood nostalgia, and we hope our products will allow our customers to relate to that. A COMEDIAN in a Saturday Night Live skit (opposite Tina Fey of course). I love to make people laugh. NO DOUBT, YOUR PRODUCTS ARE ROOTED IN NOSTALGIA. WAS THERE A PARTICULAR MEMORY OR MOMENT IN TIME YOU HOPE TO BE REFLECTIVE OF? There is no one memory but many, from playing in the sandbox with my childhood best friend, to eating dinners as a family, under one roof. Remembering these simple memories reminds me to not take anything for granted and that my entire childhood is full of nostalgic memories that I’ll never forget. IF YOU COULD TIME TRAVEL FIVE YEARS INTO THE PAST AND GIVE ADVICE TO YOURSELF WHAT WOULD YOU SAY? Listen More, talk less and vote. EXPLORING other high quality materials, such as canvas and wool, to continue expanding into a full lifestyle brand. 1813 Studio. Call me Dorothy, but there is no place like home.